Whether you’re a professional corporate travel planner or a Cub Scout den mother, you want pretty much the same thing when it comes to group transportation. You want it to be affordable, reliable, and safe. And if you’re chartering a bus, you want to know that your bus will be fresh and clean, right on time, and ready to roll. You want to work with a company that understands the unique needs of your group—preferably, a well-established, reputable company with a proven track record. You might need an expert to help you strategize logistics, or someone to walk you through the booking process, step by step. Chartering a bus is a big decision. By all means, shop around. Ask questions. Educate yourself. Personal booking services. We employ experienced charter sales consultants—seasoned professionals who work in our Owosso, Michigan, office—who are every bit as invested in the outcome of your charter as you are. A superior fleet. We own a large fleet of newer luxury motorcoaches equipped with state-of-the-art amenities: free WiFi, 110V or USB outlets, a wireless public address system, and DVD players with color monitors. Every coach has reclining seats with footrests, individual climate and light controls, cup holders, overhead parcel racks, and plenty of room to stow luggage. Advanced GPS technology. Our buses are equipped with two kinds of onboard Global Positioning Systems (GPS): directional (ensuring efficient navigation) and diagnostic (allowing Indian Trails to track the exact location of any bus at any time). Company-owned maintenance garages. We employ a team of full-time certified mechanics to keep our buses safe, sound, and running like new. In addition to an annual mechanical inspection, every Indian Trails motorcoach undergoes a thorough equipment check before each and every trip. One of the best driver training programs in the nation. Indian Trails employs the best drivers on the road—guaranteed to be courteous, professional, rigorously trained, and certified. 24-hour emergency dispatch. It’s nice to know that there’s a supervisor on duty 24 hours a day, 365 days a year, to handle any after-hours issues that may arise. An unsurpassed safety record. Indian Trails consistently exceeds the stringent standards established by the Federal Motor Carrier Safety Administration (FMCSA) and was designated the 2010 “Safe Operator of the Year” by the International Motor Coach Group. Department of Defense (DOD) certification. Indian Trails is approved by the DOD as a safety-certified passenger transport company, eligible to transport members of the U.S. military. This privilege signifies that Indian Trails meets or exceeds the most rigorous standards for safety, vehicle maintenance, driver training, and quality assurance. Handicap accessibility. Most of our buses come equipped with wheelchair lifts; buses with hearing loops are available upon request. Squeaky clean buses. Your motorcoach arrives fresh and sanitized, fully-equipped, and in good condition. All of our 34, 52, and 56-passenger coaches are equipped with clean, well-supplied restrooms. When you need a bus, call on us. 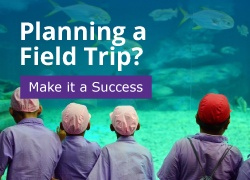 Our expert staff of charter consultants is standing by to help you plan the perfect trip.